In December 2012, I embarked on the journey of a lifetime by joining Uber. Uber was one of the hot startups just beginning to take off in the USA and I wanted to “learn how startups work.” I am incredibly grateful for the opportunity over the past four years to team up with and learn from some of the smartest and most talented people I know. After two years as Country Launcher launching Uber across Southeast Asia and two years as a Southeast Asia GM running the Indonesia business, today marks the last day of my exciting journey with Uber. I wanted to share some of the key lessons I’ve learned to help founders on their journey. However even after listening to all the critics, the real test of fortitude comes when you look at the metrics. The first week of operations in Malaysia we completed a mere 8 trips. This was the most dismal demand we had ever seen for a launch city, and we seriously contemplated shutting down the business — it seemed that the critics may have been right about Uber not working in Malaysia. People have established habits and routines over the course of their lives, and habits are hard to break. If you have a revolutionary product or service, you will need to convince people why it’s better than what they have already been doing for the past 20+ years. At the end we decided to persevere because we had a small core of loyal riders and drivers who loved Uber. It signaled that we were likely doing something right, but we had to figure out how to replicate that for everyone else. Today I am incredibly proud of the Malaysia team for building one of Uber’s largest businesses in the region. In the next section I’ll touch on one of the many localizations we made to help unlock Uber’s potential in Malaysia. When we launched Uber in Kuala Lumpur, we had a few hundred riders already signed up (mostly people who had used Uber previously in the US or Singapore). However, we had to build our driver base from scratch so this was our initial focus. Riders were pretty evenly spread across the whole city (KLCC, Bangsar, PJ, etc). We were hungry to grow our trip volume, so we hustled to onboard as many drivers as possible and encouraged them to spread around the city so as to improve availability for our riders. We knew availability was a key component of growing the business and we wanted to make sure all of our riders in Kuala Lumpur could see cars whenever they opened the app. It quickly became clear that this was a losing strategy. Kuala Lumpur, as with most Southeast Asian megacities, was very different from any other city we had launched prior to 2014. It was much bigger and traffic was significantly worse than anywhere we had seen before. This meant that even though all our riders could see cars all the time, pickup times were long, cancellations were high, and many drivers and riders were left unsatisfied. Most concerning was that there was almost no organic growth. The majority of our demand came from marketing campaigns where we gave away free rides for new users. 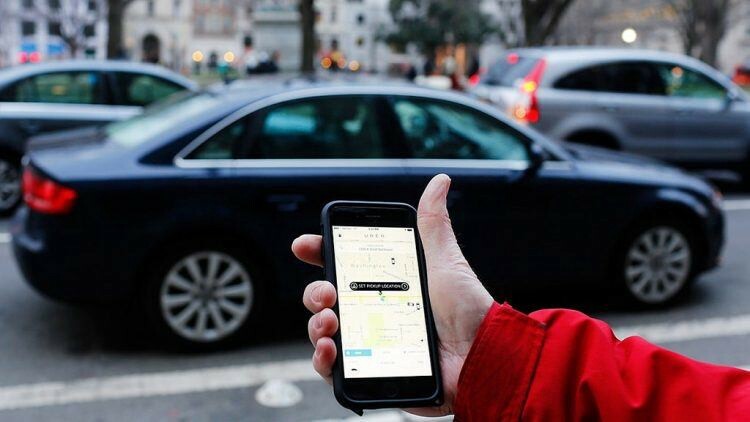 People mostly used Uber for the first free ride but rarely used it again afterwards. We could continue to crank up free rides to grow ridership but we wouldn’t really be building a real business if we followed this strategy. We knew from the metrics that riders who had low pickup times and low driver cancel rates were more likely to order Uber again. The question was: how do we give this great product experience to all the riders who were scattered across a huge sprawling city? We decided to take a gamble and encourage ALL of our initial drivers into the KLCC area, an area of <10 sqkm. This meant that the majority of our riders would no longer be able to use Uber — but at least the riders who were in our densest area of demand would be able to experience a great product with high reliability, low ETAS, and low prices. We sent out an apology email to affected riders outside of the KLCC area letting them know we would be pulling out of their neighborhood, and then we started doing aggressive marketing campaigns in the KLCC area. This strategy significantly hindered our overall growth metrics, but all of our product experience metrics (availability, pickup time, cancelation rate, repeat ridership, etc) improved. Most importantly, organic growth was growing rapidly and eventually surpassed growth attributable to our marketing efforts. Now we knew we figured out the right product market fit. The KLCC riders became rabid fans of Uber. They told their friends and colleagues in the area and demand started skyrocketing. Slowly but surely, we started expanding to neighboring parts of the city using the same strategy until we could service the entire Kuala Lumpur metro with a great product experience. In September 2013 I wrapped up the launch of Uber in Vietnam and moved onto my next project: launching UberTAXI in Singapore. It would be our first experiment with the taxi product in Asia. I planned on an aggressive launch plan that included dissecting the unit economics of the taxi business, putting together an investment proposal and path to profitability, studying taxi regulations and ensuring compliance for UberTAXI product, devising a comms strategy for press and riders, hiring the initial operations team, and ultimately launching the service with 40 taxis online — all by the end of the first week. Compared to the typical launch timeline of one month, this was a pretty aggressive plan and I wasn’t sure if I would be able to hit the target date. My plan was to launch earlier than usual in order to start getting market product feedback and then aggressively scale up the driver count in subsequent weeks. I was pretty proud of this plan and as an experienced launcher with multiple launches under my belt, I was excited to flex some “execution muscle” by getting to market as quickly as possible. I decided to postpone launch by one sleepless night spent at the Changi airport taxi line signing up taxi drivers with the team, and we were able to launch just one day later than scheduled with 200 taxis on-boarded. After seeing how a simple mindset shift significantly impacted the launch performance, I went in and revised all my post-launch business targets upward as well. In the span of 6 weeks, Singapore’s UberTAXI product set records for explosive growth — by October 2014 the UberTAXI team grew to over 20 people, we on-boarded over 6,000 taxi drivers to our platform, and we climbed to 30%+ taxi category share against an incumbent who had been operating a taxi hailing product with an 11-month head start. I handed over the business to the local Singapore team, and I moved onto my next project in Indonesia. Indonesia has been one of the fastest growing countries at Uber, climbing all the way into the top five worldwide by trips within just two years. Meanwhile, the Uber Indonesia team ballooned from 3 people to hundreds. Because of the speed at which we needed to scale our team to keep up with the business growth, Indonesia was also one of our most challenging hiring markets. There are enough hiring lessons to fill another whole blog post! Throughout 2015–2016 we were constantly understaffed, but this led to some important organizational design lessons, the most important of which is organizational fluidity. As many people know, Uber’s first three hires in a new city are General Manager, Operations Manager, and Community Manager. This made sense while we were launching Uber in new countries because we were a marketplace business — this meant we had to build both sides of the marketplace at the same time. Too much supply means drivers wouldn’t make enough money. Too much demand means riders wouldn’t be able to get cars. Operations managers (eg DOps) tended to be analytical and usually came from a banking / consulting type backgrounds. The job entailed studying demand patterns and matching supply to them, monitoring ride unit economics, tracking marketplace metrics, and executing a host of other analytical tasks. Community Managers (eg CM) were usually hustlers who had experience with marketing or public relations. They were the ones responsible for getting the word out to new riders by organizing events, launching partnerships, and creating campaigns to build public awareness. As the team grew, individual team members began to proactively flex their muscle beyond their original job scope. An analytical DOps put together an analysis of our rider side promotion spend. A creative CM designed and executed a new campaign to recruit more drivers. A charismatic DOps stepped out from behind the excel spreadsheet to help out with some government meetings. Slowly the line between “supply job” and “demand job” started blurring and it made sense to reorganize teams around business metrics such as new user acquisition, engagement, etc rather than marketplace responsibilities such as supply and demand. By keeping the organization fluid we were able to capitalize on individual team members’ strengths rather than boxing them into a specific job description. Furthermore, organizational fluidity opened up the opportunity for talented individuals to rapidly develop their careers within the Uber organization. Southeast Asia is a big market as a whole but it’s also unique in that it’s extremely fragmented. If you want to go big, you need to go international quickly. This means understanding multiple cultures and languages, localizing the product, navigating unique political environments, connecting with local business contacts, recruiting for a local team, etc. It’s a lot to internalize! While I was launching Uber in Malaysia and Vietnam, we also had launchers on the ground in Philippines, Thailand, and Indonesia simultaneously setting up the business. How did we ensure that everyone executed the launches smoothly? How did we ensure that launchers who had never talked to government officials before responded properly to regulatory inquiries? How did we ensure launchers were equipped to grow the marketplace without burning through irrational amounts of money? How did we equip launchers to hire some of the most talented people in the country to run the local business without previously having any network in the country? The answer is that we had play books for everything. Every launch we executed we certainly made mistakes, but we learned from them and improved our play books until we had a streamlined strategy that was pretty much plug and play down to the most minute detail. As a primer I would recommend founders to read The Checklist Manifesto by Atul Gawande. It’s a great introduction on how to standardize complex processes so that you can execute consistently. Uber has been an incredibly exciting ride for me and I could not be more grateful for the experiences and lessons I’ve learned over the past four years. Building a startup is a grueling journey, but I think Southeast Asian startups have huge potential and I am extremely bullish on the region. I love cracking through tough problems so if you’re a startup founder and want to jam, feel free to shoot me an email: alan.j.jiang via gmail. Until next time, #UberOn!